Hello there! Amie here (of Little Lamm Paper Co.)… wishing you a very Happy December and welcoming you to Day Four of the 2018 edition of our always-popular 10 Holiday Tips & Tricks series here on The Digital Press blog! I hope everyone is having a wonderful December so far! I’ve been having a great time making paper decorations with the kids this year. 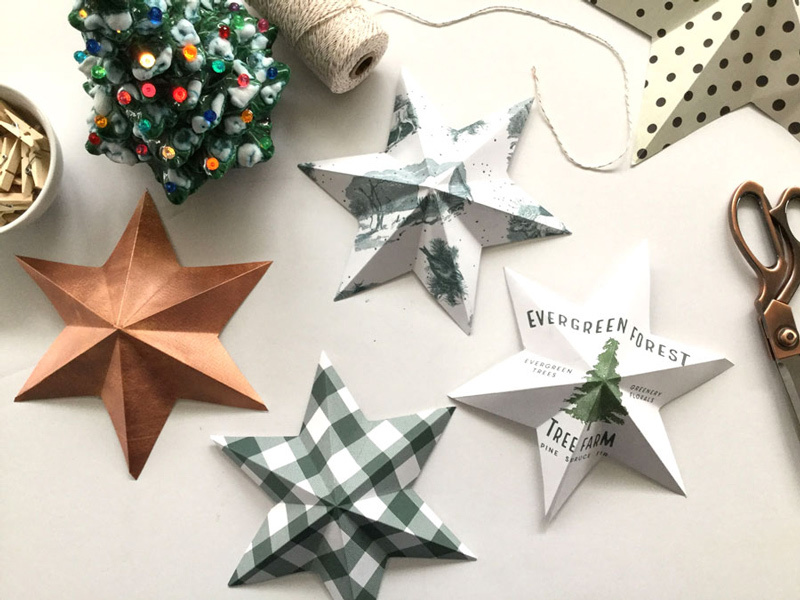 Stars are a huge favorite… and so today I’m going to show you one easy star you can make with just a few tools, in order to create really fun and easy holiday decorations. Grab a plate or bowl and measure the diameter. Halve this, and make a note. For example — my plate was 11 inches, so I need to remember 5.5″ (you can totally use a compass for this. I’m not sure why I can’t find mine; probably because small kids and items with sharp points need to be hidden, LOL). Draw around the plate, and then mark distances of 5.5″ around the rim, giving me 6 equidistant points. Join up these marks with straight lines, skipping alternate points, ending up with a star. 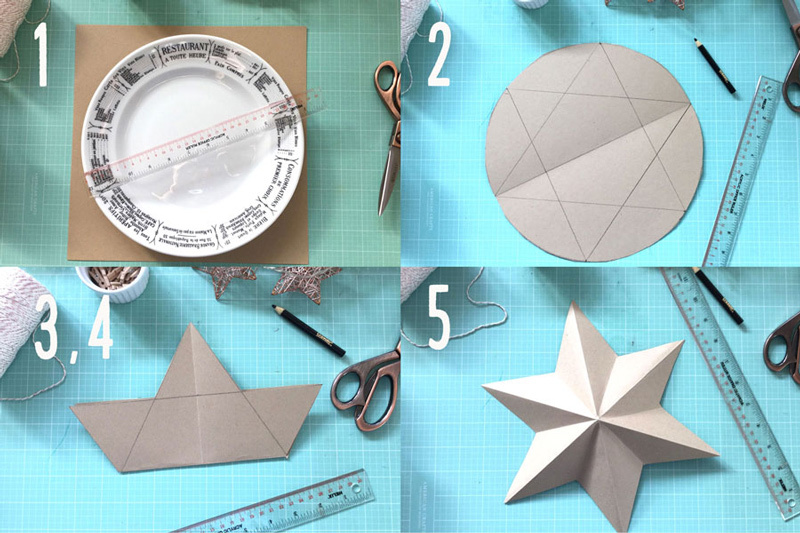 Cut the star, and fold right sides together along each of the inner angles of the star. Do this 3 times total. Turn over and fold the wrong sides together along each of the outer points of the star, again 3 times. This will give you your 3D shape. 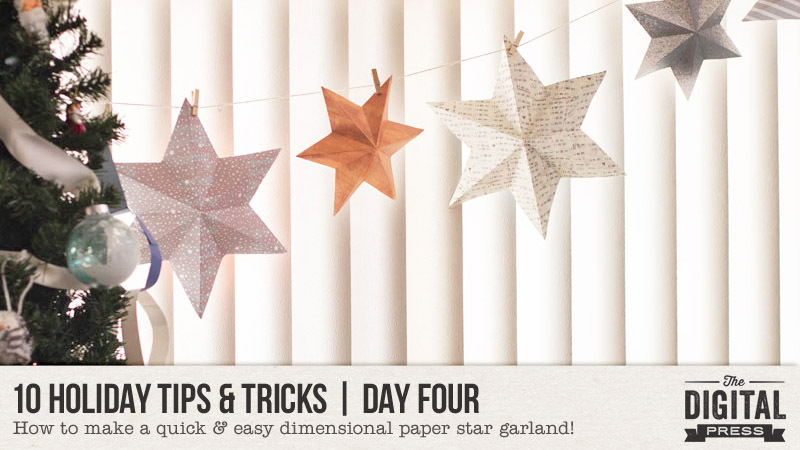 Refold and score again to reinforce sharpness of the folds, then pop out to make your star. **NOTE** don’t worry too much about getting your fold lines up super perfect. It’s not noticeable if they are a bit off. 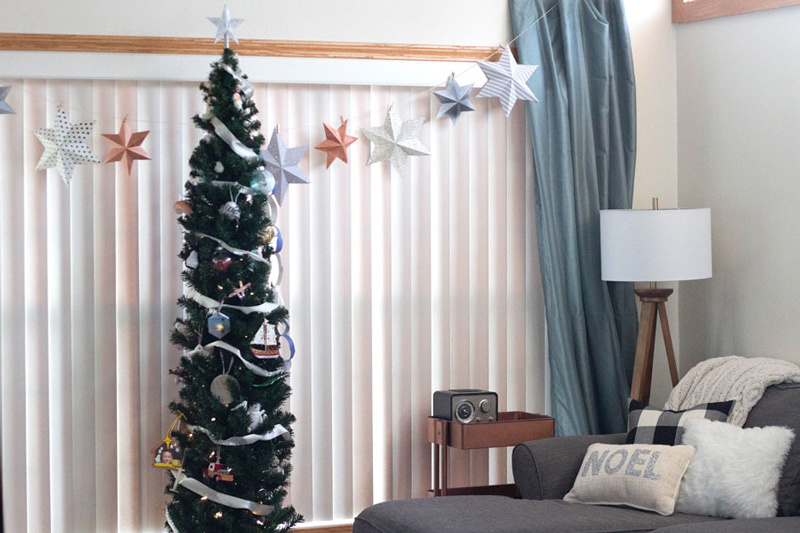 To hang the garland, I used some metallic baker’s twine and mini clothes pins… but you can string the stars, or staple them, or even attach them directly to your wall. Mix and match with other fun paper decor or letter banners, or even some fairy lights! If you would like even more paper garland and decor ideas, you can check out my Pinterest page HERE. 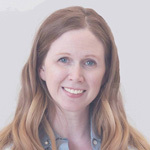 About the Author Amie Lamm is the designer behind Little Lamm Paper Co. at The Digital Press. She is a work at home mom/graphic artist living in Fargo, North Dakota with her hubby, her almost 6 year old son, 2 lazy cats, and a hyper bulldog. She survives her days with copious amounts of coffee and recorded episodes of Fixer Upper.